Pilates (pronounced puh-la-tees) is a system of exercise that works the muscles from the inside out… concentrating on spinal alignment, core strengthening and breathing, resulting in a great total-body workout. Non-impact exercise on a mat and special Pilates equipment are used to engage the body and mind, developing stronger muscles without adding bulk. Our clients range from the young ballet dancer, to pre/post-natal women, seasoned athletes, through middle aged, general fitness enthusiasts, individuals with orthopedic, neurological or other pathologies, as well as our older population! What results can I expect from a Pilates program? Why should I work with a trained professional? Fly-by-night Pilates instructors are easy to find. Dedicated, certified, experienced professionals are not. Untrained instructors may give ineffective or even unsafe workouts. 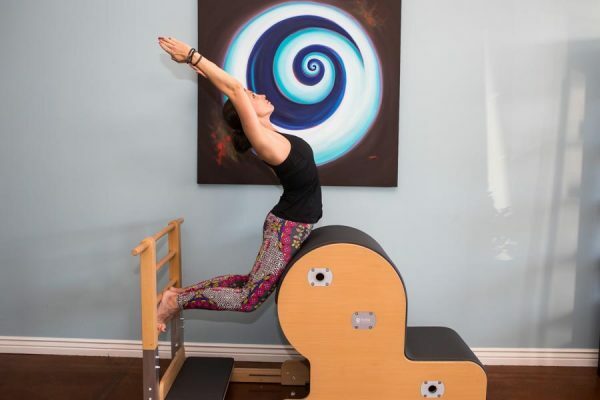 Without the best direction, Pilates can still be beneficial. With the right direction, it can create amazing results. Unlike other forms of exercise, Pilates does not need to be performed daily. Two sessions per week are usually enough to see changes in your body and to reap the benefits of renewed endurance, agility and flexibility.